Preface. About the Author. 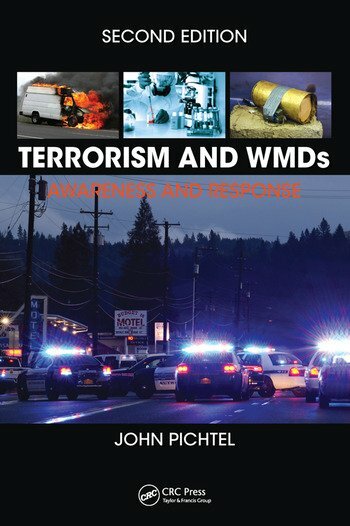 Chapter 1: Terrorism and WMDs. Chapter 2: Chemical Agents. Chapter 3: Toxic Industrial Chemicals. Chapter 4: Biological Agents. Chapter 5: Nuclear and Radiological Hazards. Chapter 6: Explosives Hazards. Chapter 7: Directed-Energy Weapons. (New) Chapter 8: Drones and UAV Delivery Systems. Chapter 9: Personal Protective Equipment for Emergency Response, Decontamination, and Remediation. Chapter 10: NIMS and the Incident Command System. (New) Chapter: 11 Critical infrastructure and key resources. John Pichtel is a professor of Natural Resources and Environmental Management at Ball State University in Muncie, Indiana, where he has been a faculty member since 1987. His primary research and professional activities have been in emergency response, management of hazardous materials, remediation of contaminated sites, and environmental chemistry.